Pregnant Ladies, Feeding Mothers,Children,Grown up children,Old Generation needs Special Food Supplements.The vitamins, Minerals present in the Raw Vegetables helps the body a lot. In Western Countries,Vegetable Salaads and Fruit Salaads are used.Now a days even most of the Indians are using the Salaads.The Nutritional values in the salaads depends on the Vegetables we use.Especially Salaads prepared by Fruits and Vegetables give the body plenty of Vitamins,Minerals, and Fibre.By using Sprouts, Paneer etc the Salaads can be made more nutritous developing the bodys Immune System.Optionally Salads can be made by using Milk cream and Curd cream,to a limited extent. There are certain rules to be followed for preparing a Healthy and Nutritous Salaad. 1.Only Fresh Vegetables & Fruits are to be used. 2.The Skin and Seeds are to be removed. 3.The Vegetables and Fruits are to be cleaned 3 to 4 times with plenty of water. 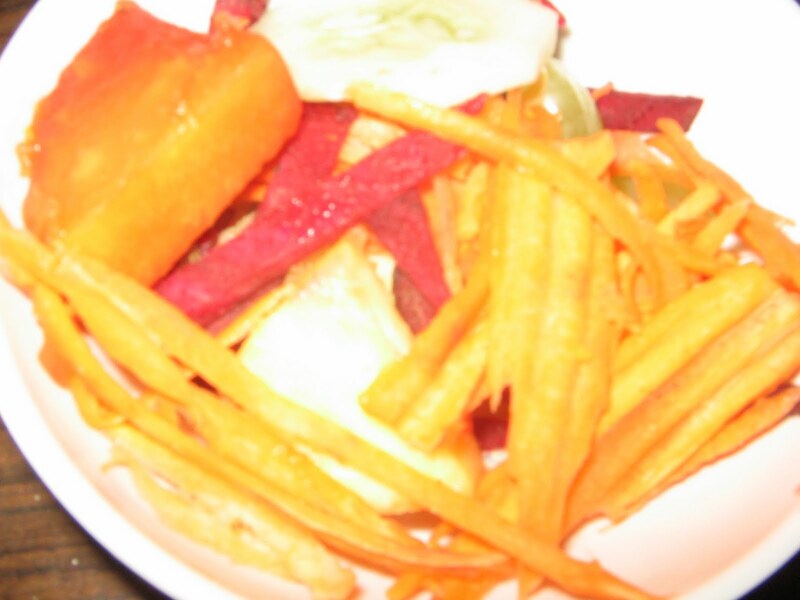 5.Limited number of Veg & Fruits are to be served in a Plate. 6.The Salads are to be kept in a cool and dry place.